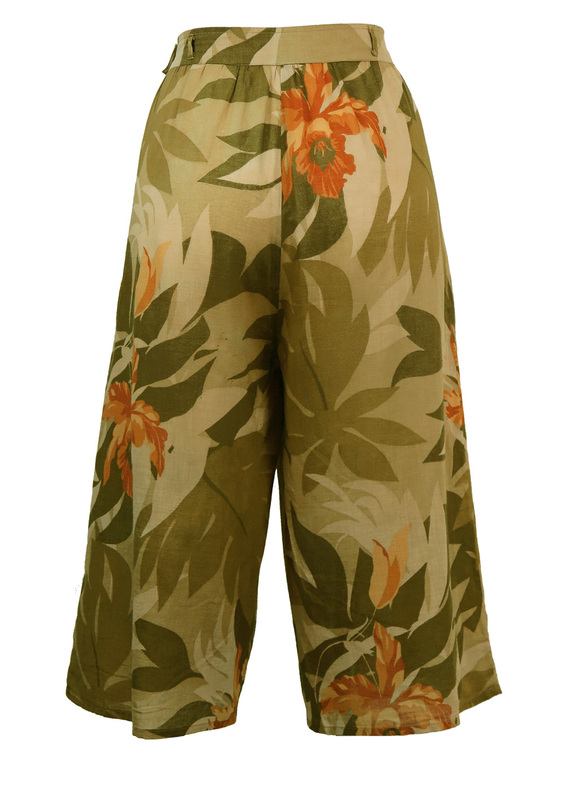 Lightweight cotton tropical print culottes in colourways of burnt orange, green & khaki. 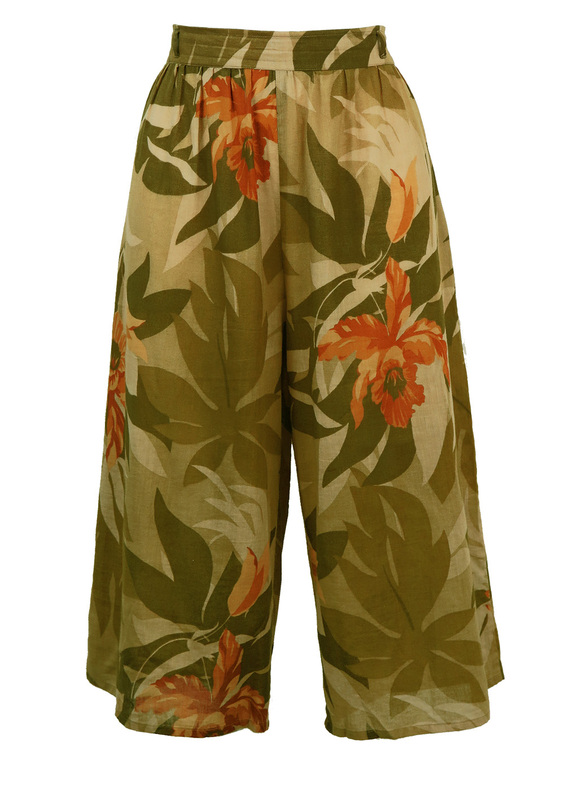 The culottes have gentle pleat detailing beneath the waistband and the length sits at mid calf level. 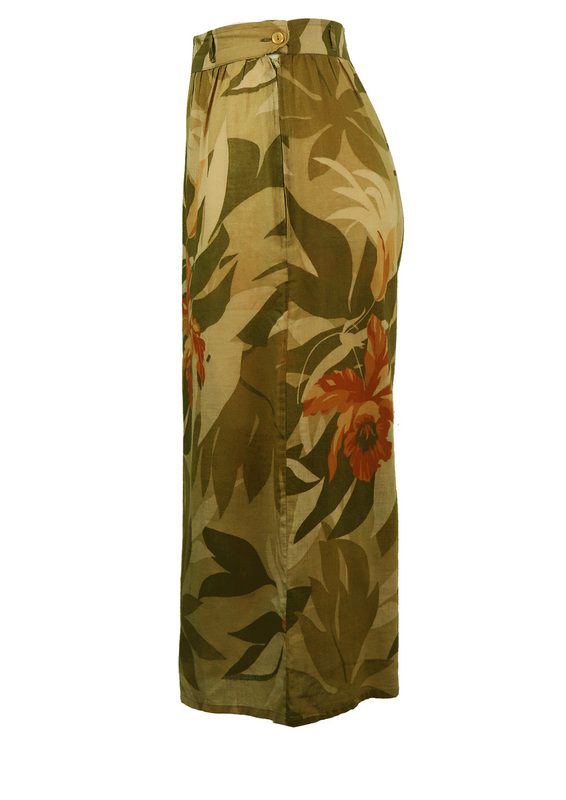 We have sized the garment between a size S and M. Please refer to our more specific measurements for further sizing details.